Someday Productions LLC and Pillow Talking are pleased to present the following interview with actor, director HUNTER FOSTER. 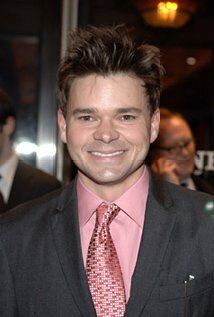 Hunter Foster is a true multi-hyphenate: actor, singer, playwright, director. As he says himself, he has been able to do a wide spectrum of parts and a wide spectrum of things in the industry. 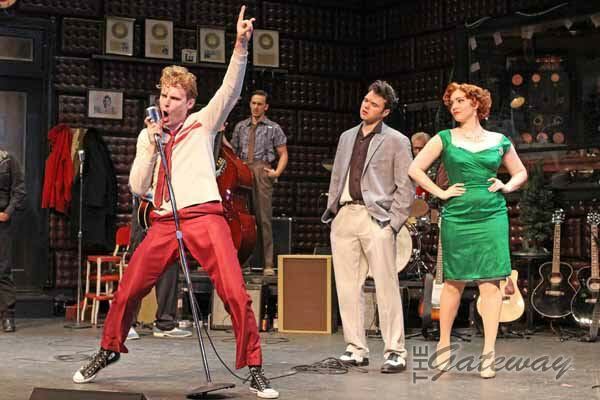 Among his many roles as an actor was the music producer, Sam Phillips in Million Dollar Quartet on Broadway. He recently directed that show at the Westchester Broadway Theatre. Pillow Talking was fortunate enough to catch up with Hunter shortly after the opening of Million Dollar Quartet. PT: Thank you so much for granting us this interview. We know you are very busy. How is Cabaret going? HF: Cabaret is going really well. It was a short run, two weeks, but we received some great reviews. I’m really very proud of it. PT: Well fortunately for us Million Dollar Quartet at the Westchester Broadway Theatre is a longer run and we had some time to connect with each other. So let’s start with the standard question – tell us a bit about your background. HF: I grew up loving theatre in high school. I did community and high school theatre. And then I went to the University of Michigan for theatre as well – in their musical theatre program. After I finished that, I came to New York and started working as an actor which I did for many, many years. And then I started directing about four years ago. I directed my first show at the Bucks County Playhouse called Summer of ’42 which I also wrote. I’ve done a few acting gigs here and there, but it’s mostly been directing – and also writing. PT: (Stephanie) I used to live in Pennsylvania, in Allentown for many years and we used to go to Bucks County. It was always very artsy and had a great vibe. How did you end up there? HF: The theatre has been around for a long time and I think they had a major renovation about five years ago. A friend of mine took over the theatre and he wanted me to come out and be a part of it. The show that I wrote –Summer of ’42 – was an Off-Broadway show that we did in about 2001 – he put it in as part of the season. He had a director who was supposed to direct it, but he dropped out. He came to me and said, “Why don’t you direct it?” And I was like, “Okay,” and that’s how I got connected with it. Ken Bernstein, who helped renovate the theatre, he was the one who brought me in to direct. PT: How was the transition from acting to directing for you? 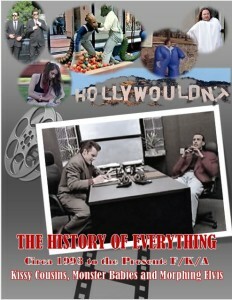 HF: You learn so much over the years by being an actor. I’ve worked with some of the great directors on Broadway. I’ve worked with Susie Stroman and Jerry Zaks and John Rando and James Lapine. You learn things from those directors. I’ve been in this business for twenty years, so you see how shows are put together and directed. And I think being an actor helps you to talk to other actors. So as a director I can have discussions with actors and we can talk as actors if that makes sense? PT: Yes, it absolutely does. HF: I know what it’s like to be in their position. So I can sit there and say, this is how I feel about it. And we can just talk about it as actors. I think a lot of actors really appreciate it. It’s more of a partnership as opposed to someone on high telling you what to do. So it’s like two people collaborating to try and make it the best role possible. So I think it’s a benefit to be a former actor as a director. PT: (Stephanie) I can really see that. It’s like in any business, working in all different aspects so you can see where each piece of the business fits in. PT: Our readership is made up of many actors, artists, directors, writers, etc. And they are always interested in process. Do you have a particular process that you follow when you set about to do a project? HF: I think it’s important for a director to be as knowledgeable as possible about whatever you’re doing. So, for example, when I was directing Cabaret, I thought it was very important to understand the time period because it can influence many things. I think actors respond better to a piece knowing the world as it exists around them. Especially a show like Cabaret which is so much a part of that Weimar time period after World War I and before the Third Reich. It was so important to know what the political landscape was, what the cultural landscape was, and the economic landscape – that really tells you and the characters what their needs are and what is required in each scene. The same thing was true for Summer of ’42. In doing that play, it was important to know what the state of the country was in that time. So, for example, Summer of ’42 took place in Maine in 1942. In America at that time they were afraid of being bombed. They didn’t know if the Germans could actually reach the country so there were blackouts at night. And even though you were so far away from World War II, there was still this fear of the unknown; a fear that the Germans could invade. So knowing the time period and the history helps. It helps inform everything you are trying to do in telling the story. As a director, I want to know as much of that knowledge as possible and at my disposal. I think as an actor that helps you as well. PT: That really is so true. Can you tell us what or whom were some of your earliest influences? HF: When I was a kid it was Harrison Ford. I told my mom I wanted to be an actor like Harrison Ford. When I was growing up it was Star Wars and Indiana Jones. So I was influenced by him and Steven Spielberg. I thought he was such a great story teller in his films. PT: What advice to you give young actors and/or directors? 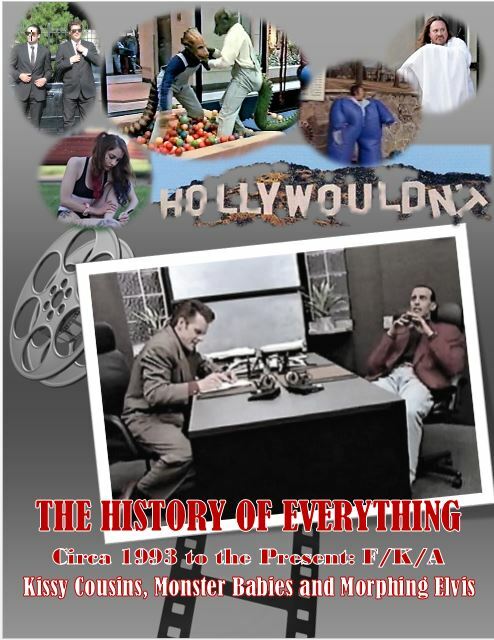 HF: I always tell young actors to be knowledgeable about the world. It goes hand in hand with what I just said. As an actor, you need to know more than just theatre or musical theatre. You need to read the newspaper and know what’s happening in the world and what’s happening in your community. You need to travel and learn about as much as you can about the world because that becomes your tools in playing a role. You have to know things. You have to be intelligent and well-read. So I always say read as much as you can – read as many books and newspapers as you can – have knowledge about the world because all of those things are going to help you as an actor or director. PT: That’s great advice. (Wayne) I would have loved to have seen your Summer of ’42. It was a great film and a breakout one for its star Jennifer O’Neil. I also read the book. I’m going to date myself now, but I was a young kid at the time and I made this deal with my parents that if I read the novel first I could then see the film. My parents were more liberal with my reading material than my movie going. HF: Yes. I got to know the screenwriter [Herman Raucher] pretty well. He actually wrote the book after the screenplay. It’s interesting. He wrote the screenplay and it was turned into a film. And then before the film opened they told him to write a book and then they could say it was based on the book. So they did it the opposite way – they did the film first and then the book. PT: That’s wild. The things Hollywood thinks of! This goes back to your discussion before about being a director who is a former actor. 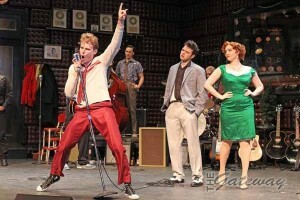 Having performed in Million Dollar Quartet as an actor, how was it directing the same work? What kind of changes or modifications did you want to make? HF: I knew I wanted to make it different. Once a director directs a show, you can’t copy what he did. You have to make it your own. So I really approached it as if we were doing it for the first time. I didn’t try and copy anything that we had done from the Broadway production. The staging is very different and I did it on purpose. I wanted it to be its own thing. If actors had instincts to move on certain lines or do things differently, I allowed it to happen. There was one thing we added in the show which was a montage. And there was one tricky transition in the show in Act Two and I always thought it was a strange jump. And I said, “Why don’t we add this moment and it should feel like two hours had passed?” if that makes sense. So if you’re watching a film, you’re watching a montage of the entire evening fast fowarding in two hours. And so we did this little musical thing that we made up and we showed a passage of time through the night. It’s not very long. But we added it and it was unique to my production. It really helped that transition greatly. It was like a little fast forward button that told a story and took us to the next scene. PT: If you read our review (Pillow Talking Review), you know we loved the show. And that encore was fantastic. Was the encore in the original show, too? HF: It was but we were able to use the set in different ways. We were able to have the boys rise up out of the floor and we were able to use a lot of space which is unqiue to Westchester Broadway Theatre. PT: (Stephanie) And the cast was fantastic. They all were triple threats. And of course at the end the encore was like a bonus rock concert and you didn’t want to go home. HF: Yes, thank you. They are all fantastic. It’s amazing what they can do. PT: In being a multi-hyphenate yourself, what do you prefer doing? And do you think you’ll continue with directing? HF: Yes, I think so. I’ve tapped into something that I really enjoy. I never thought that‘s where I was going to end up. But it’s something I really feel passionate about. I’ve always been a big picture person even when I was an actor in a show. I always thought about the big picture. I always thought about the show as a whole and not just my part. And so now, when I’m in control of the whole big picture it’s something that I really enjoy and I love the responsibility of putting up a show. It makes me very proud to see a cast come together and believe in something and put something up on stage. It would make me very happy if this is what I did for the rest of my life. It’s not that I think I’ll never act again, but if this is where the career is taking me, I’ll be extremely happy. PT: (Stephanie) We know that acting is in your family. Your sister Sutton Foster is an actress. Have you worked together? And if so, is working with family difficult? HF: I’ve worked with her before. We’ve done shows together. And I’ve also worked with my wife. She was a choreographer on a show I was directing. So we all worked together before. I really don’t mind it; it’s nice having family around at all. Sutton and I have performed together on a couple of shows – we were on Bunheads together, her TV show, a couple of years ago. We had a great time doing it so I would love to do it again in the future. PT: We know after Million Dollar Quartet you went right to directing Cabaret. What’s on your future agenda after that? HF: Well, right now I’m in Rhinebeck, New York on a writer’s retreat working on a new show that I’m writing with a composer named Georgia Stitt. We have a whole week in which we are writing the show and then we have a presentation on Saturday. The next thing I’m doing is directing a stage version of Clue – not the musical, but a stage adaptation of the movie Clue. HF: Yeah. We’re going to do a reading of that in September and hopefully do a production of it in the spring in Bucks County. And then I’m doing another production of Million Dollar Quartet in Maine. PT: Are you doing it with any of the same cast? HF: It will probably be with most of the same cast. PT: Great! It’s a wonderful show. We know you’ve worked in film and in theatre. What do you perceive as the differences between the two mediums and do you have a preference? HF: I like theatre because it’s immediate. When you do stuff on camera, there’s no real satisfaction. When you perform in front of a live audience it’s immediate. You can live in the moment. You can live moment to moment from beginning to end. Doing things in TV and film its jumbled. You’re shooting things out of sequence. I will always prefer theatre. Obviously there’s more money in film and TV, but theatre is unique and you can’t recreate that at home. There’s only one place you can do it. I enjoy the theatre very much. PT: Do you have any thoughts about what the impact of social media has been on the industry in general? HF: I was just talking about this with someone else. When I was growing up, you really didn’t know the people who were in theatre. Maybe their pictures were on a CD or a Playbill. But now with social media you can be in Iowa and you can see videos of Broadway shows; you can see interviews with performers. What’s happening now is that people from the heartland and people outside of New York know Broadway performers more intimately. They can see their Twitter feeds and their Facebook pages. So people get to know performers better. They are not this unknown thing only in New York. When I was a kid, I couldn’t see videos of them. I couldn’t see interviews with them. But now everyone knows who these people are. They are more popular now than ever. I think it [social media] has been really helpful in the industry in promoting shows because you can follow things online. PT: That’s so true. If you weren’t doing this for a livelihood, what do you think you might be doing? HF: Hmm. I really don’t know. That’s a good question. I always wanted to be a journalist. I wanted to write for the newspaper. Yeah, I wanted to be a reporter. PT: (Stephanie) So you wanted to be a storyteller, but just in a different way. PT: Yes, we also love the art of storytelling. Well, we’ve kept you for a while now and know you’re really busy. We have a signature final question that we ask everyone. If you were to sum up your life and career to date in one word, what would it be? HF: Oh, wow! (pause) Um, versatile! PT: That’s a great word! HF: Yeah. I will say that I feel like I’ve been able to do a wide spectrum of different roles and a wide spectrum of different things. It’s been really great to be able to do so many different things. PT: That’s terrific! And thank you so much for such a wonderful and insightful interview!